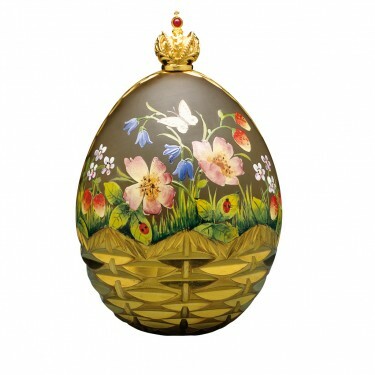 As the days draw longer, The Summer Egg re-creates the sweet smelling meadows of the countryside. Adorned with delicately hand painted enamel wild flowers, soft fruits and brightly coloured butterflies. 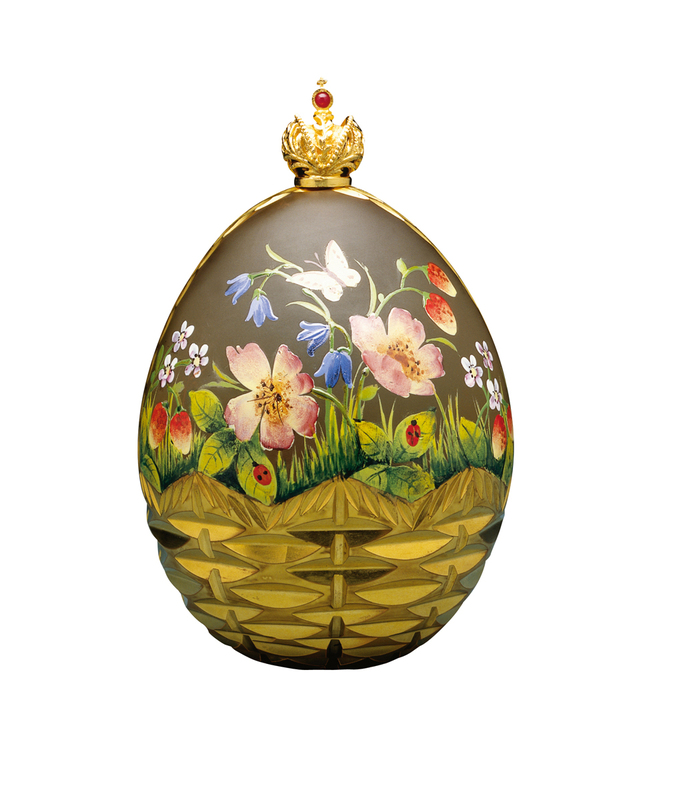 The scene is set in a 23 carat gold basket cut into an opaque 24% lead crystal Egg, and crowned by the vermeil Imperial Crown inset with a cabochon ruby.